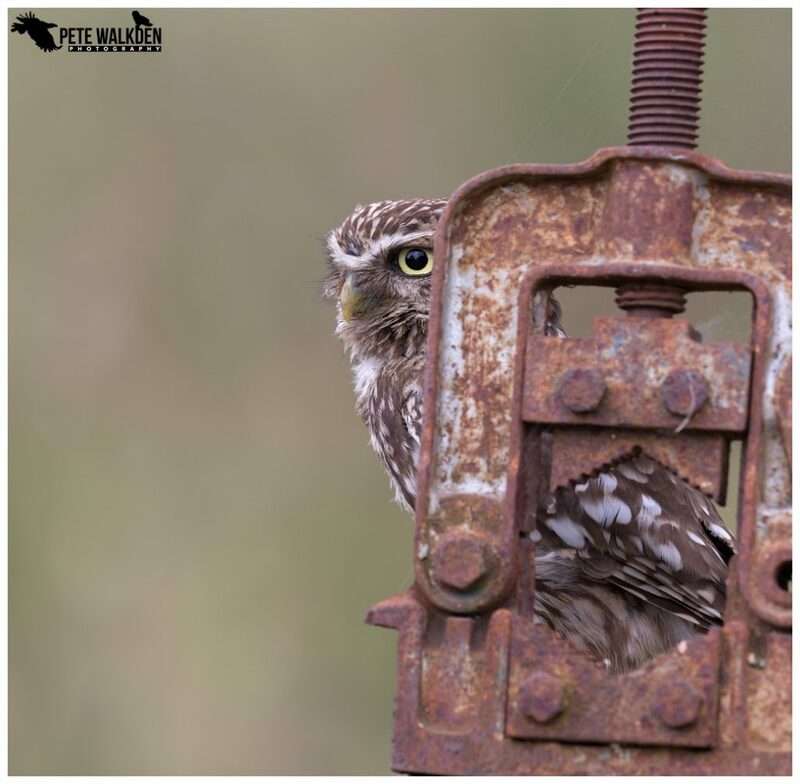 When I left for Scotland, the adult little owls were busily flying in and out of the nest area in the barn, feeding the nestlings. Given the location of the nesting site, it is impossible for me to determine how many youngsters were in there. Since returning from the tours on Mull, I have visited the site twice, and today caught sight of one of the owlets, glaring at me from the safety of the oak trees. The adult also put in an appearance, and came down for food. I think, and this is based on my hearing, that there are at least 2 owlets, as I could hear their begging calls from slightly different locations near the nest site. I will be visiting the site over the coming days to get the owls used to me being around again, and then set it up for clients who have expressed an interest in coming along. I will add a new post when all is ready, including available dates for the workshops. Costings are already on the Little Owl Workshop page.